Shazam is my second most anticipated cinema release of the year, ever so slightly behind Avengers: Endgame. I knew nothing about the comic book series ahead of viewing the first trailer. And then Zachary Levi popped up on the screen. I miss Chuck. I first started watching the TV show when I moved in with Luke about eight years ago. I loved watching Zachary Levi’s antics as a computer nerd turned CIA agent, the result of a top secret computer programme becoming embedded in his brain. It was one of those shows I became emotionally invested in and continued to watch even when the entertainment started to wane, so when it ended after five seasons, I found myself at a bit of a loss. In fact, Levi hasn’t done an awful lot of note in the last seven years. He voiced Flynn in Tangled back in 2010, had a supporting role in the Thor films and a few TV shows (Robot Chicken, Heroes: Reborn, The Marvelous Mrs Maisel) but now he’s back in a leading role and I can’t wait. 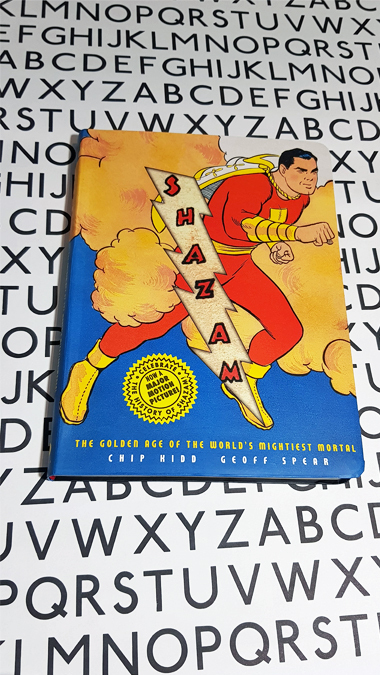 I wanted to find out more about what could become one of my new favourite superheroes, so I requested a review copy of Abrams Books’ Shazam: The Golden Age of the World’s Mightiest Moral. This book is a fascinating overview of the history of Billy Batson. He debuted in Whiz Comics back in 1940, before outselling Superman by 14 million copies a month. The last issue was published in 1953 before being revived in 1972 by DC Comics. He was also the first superhero to be adapted for the screen. 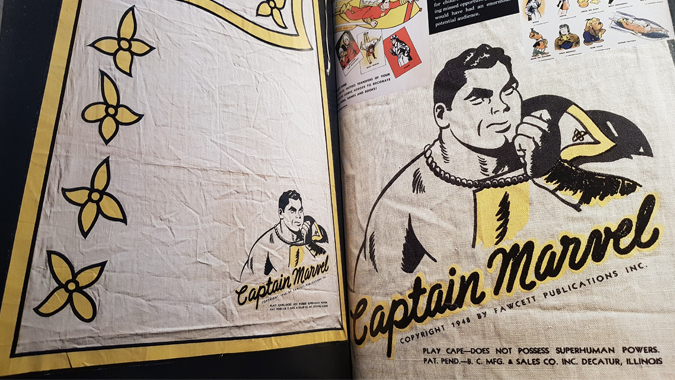 The 1941 movie serial spawned an extensive range of merchandise, chronicled in detail in this book. As someone who was raised by antiques nerds, I can appreciate the love and attention that went into this book, compiled by award-winning writer-designer Chip Kidd and photographer Geoff Spear, in collaboration with collector Harry Matetsky. My parents were the type to head to the local auction house on a regular basis to try and spot a steal and they would never miss an episode of Bargain Hunt or Cash in the Attic. They even had a book on antiques and, as a young film geek and bookworm, I loved finding out how much highly coveted film memorabilia and first editions were worth. 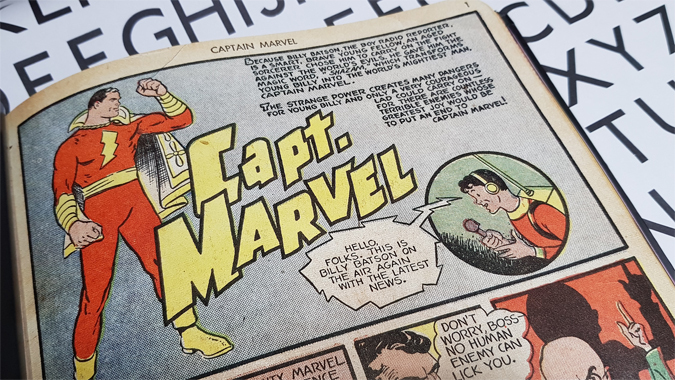 This book is a visual nerdgasm, celebrating the birth and success of an icon which may not be all that familiar to modern comic book fans. Featuring early editions, merch and more, this really is a comic geek’s dream. Ah I definitely need to read that.